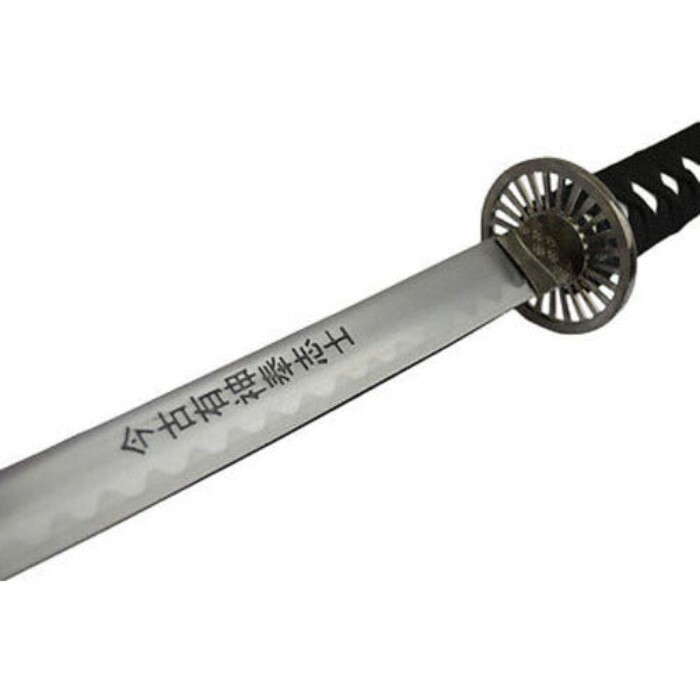 40" White Dragon SAMURAI NINJA Bushido KATANA Japanese Sword Carbon Steel Blade | BUDK.com - Knives & Swords At The Lowest Prices! 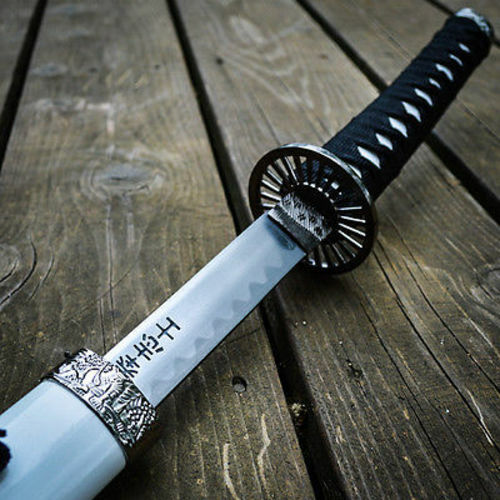 Traditional swords are hard to come by with the right quality and craftsmanship. 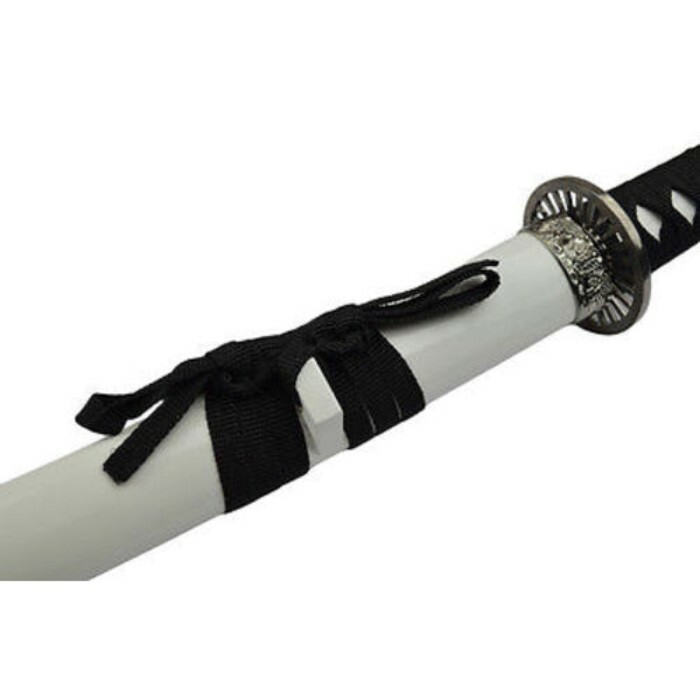 This white traditional sword is nothing less than extraordinary. 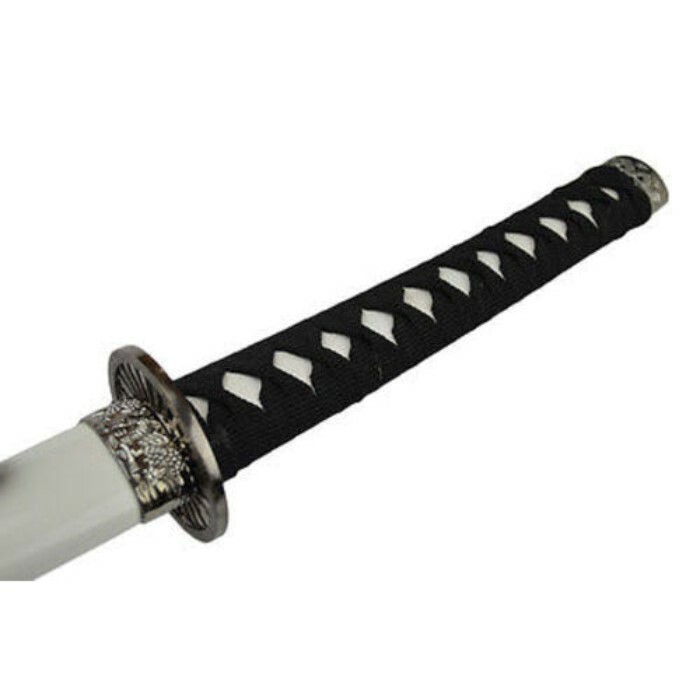 At almost 40" it can stand out as an elegant piece of household decor, or be added to any blade collection. The black, cord-wrapped handle contrasts the white handle beautifully and gives you extra grip and control when holding. 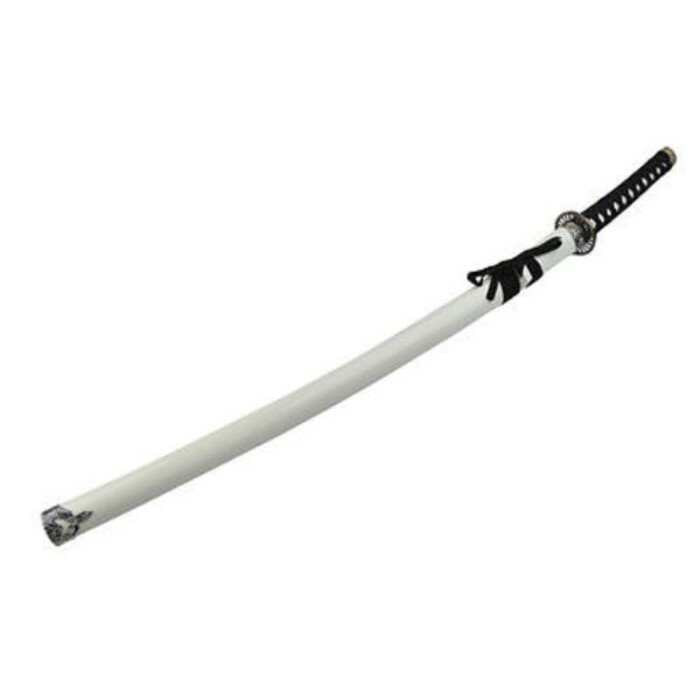 Be the ninja, and ensure that you have the right ninja sword for the job. This one is it. It has it all and more, with a comfortable grip and even weight; find the samurai within.